Many products tell you they can improve your diabetes care. Description: The HYPOWALLET is a portable hypoglycaemia management kit, designed specifically for people with diabetes and/or their carers. Sarah’s Review: I always have hypo sweets in my bag but when I need them I can’t find them. May be I need a smaller bag! However I would rather carry this with me, it has everything you would need depending on the extent of your hypo. There is also a little guidance on how much carbs you may need. Rating: I took this away with me at the weekend and it gave me and my Husband piece of mind so 5 stars. Description: This rich emollient lotion contains deep-heating agents to make it the ideal massage companion for tired muscles and dry skin. 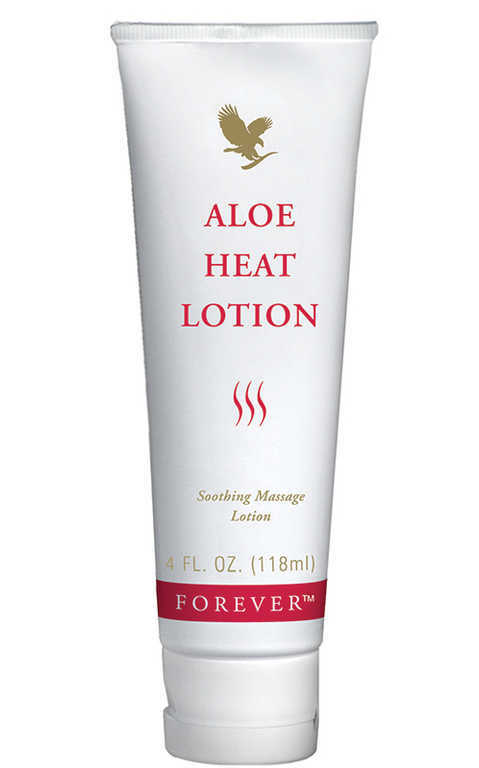 Aloe Heat Lotion is a pH-balanced, lubricating lotion designed for a soothing, relaxing massage. The deep penetrating power of aloe vera will help your muscles and skin after the stresses of the working day. Especially good after sports or hard workouts. Rating: I have tried various heat creams and this seems to be one of the best. Description: Aloe Vera Gel contains an abundance of vitamins and minerals, including the rare vitamin B12 – one of only two vegetable sources available. 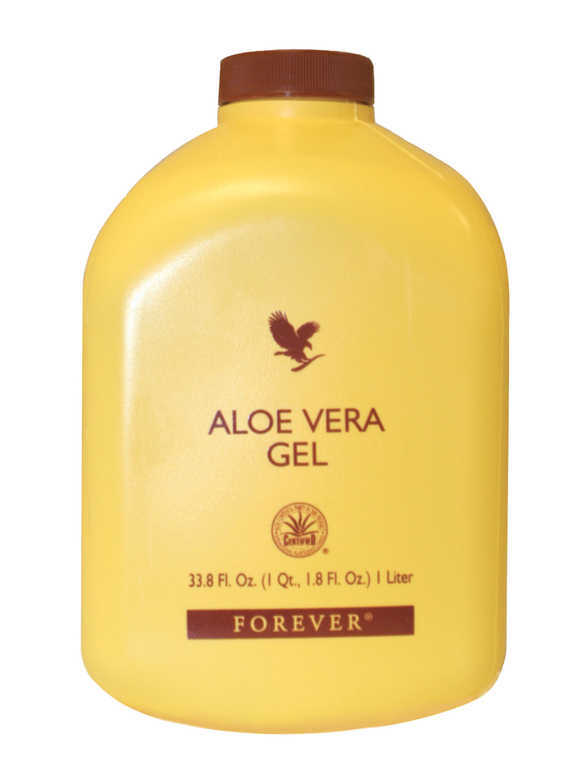 This makes Aloe Vera Gel a vital supplement for vegetarians and vegans. Folic acid, recommended by the Department of Health for all women planning a pregnancy, is also found naturally in the gel. Together it provides seven essential amino acids which are directly linked to cell growth, and which cannot be manufactured within the body from other sources. Sarah’s Review: I first came across this drink from my mother in law who had digestions problems but said she had more energy after taking this drink. When my levels are erratic I really find it hard to find the energy to do even basic things like the housework! I have been drinking the gel for over a week and certainly feel more energised. Can be used as a daily nutritional tonic. Keeps for 5 years unopened – 3 months once opened (if kept refrigerated). Reating: Does what it says on the tin – even though the taste not great! Sarah’s Review: I have been looking at these type of shoes since last year, they are everywhere! Saying we can get fitter by wearing them. I have had this pair for a few weeks, in fact I bought them to go on holiday with. I can certainly feel my bum is being worked out. Rating: Even though it seems to be a gimmick I certainly think there is something in it, so if you are looking for a new pair of sandals then you might as well buy these. Even though they cost double the price of a normal pair I think its worth it. I am sure I will see a benefit over the Summer. Description: A place to keep all the daily items you need for your pump. The accessories required for pumps range from infusion sets and inserters, to additional insulin reservoirs and bottles of insulin (some pumps use the cartridges used in insulin pens). Sarah’s Review: I personally have not tested this as I do not have a pump. It was however tested by someone I know who said it was ideal as the one bag she had been using was too small. This product was also designed by a pump user. Rating: I like having a specific place to put my diabetic things, this is good to ensure things are segregated but still in the same place. Description: A 2011 wall calendar of gorgeous images of models from Cobham Rugby Club highlighting fitness, nutrition and lifestyle choices with some fun comments and a very useful organising grid. Sarah’s Review: An ideal present for yourself or friend to put on your office or bedroom wall. Rating: It has the fun and charity factor. A great way to give to a very good charity. Description: Boots Cooling Head Stick with natural essential oils, cools instantly and helps to sooth and calm. Sarah’s Review: I always take tablets to sooth my headaches, however when I was pregnant I wanted to take the advice of my GP and not take any paracetamol or nurofen. So I searched the shops to see what I could find, I tried a few soothers and this boots one was the best and because it was clear no one new I had spread this on my forehead! Rating: As an alternative to tablets its great – I must admit now I have had the baby i am back to taking nurofen! Description: Scholl Intensive Night Treatment is an intensive foot conditioning system, which penetrates deep into the skin to seal in moisture and restore the skin’s softness. Sarah’s Review: Since having the baby I have noticed my skin on my feet a lot drier, this may be old age or the fact I carry the baby everywhere! This cream has really helped smooth the skin and it now feels like it did a year ago! Rating: I would recommend this product for anyone who needs to regenerate their feet. Description: Large Wallet – Keeps insulin cool and safe, activated by cold water only, no refrigeration or ice needed, light and compact, reusable. Can carry a combination of pens, vials and cartridges. Sarah’s Review: I use this every time I go on holiday whether that’s going abroad for two weeks or going to The Lakes for the weekend. I carry my disposable pens, for a long break it can carry up to 5 pens. This came in handy when I went skiing and also when I went to Dubai! It is really easy to use, just submerge into cold water, it then keeps your insulin cold for a day or two. If you are then somewhere with no fridge you can just put the wallet back into some water. Rating: Does what it’s meant to do – I recommend this product all the time! 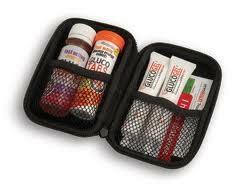 Description: This little carrier can hold up to 4 glucose tablets – just enough to handle that hypo! It can be kept on your keys or around your neck. Sarah’s Review: This was one of the first things I bought when I was diagnosed; it was very handy when I was running as I was able to keep it on my keys. It did have lots of use at first but now I don’t run as often so keep it in my handbag. Still really useful as long as I remember to refill if after I have eaten all the tablets! 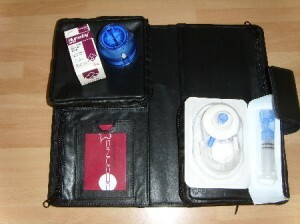 Description: This claims to be the smallest kitbag that can hold all a diabetic needs for a whole day’s treatment. Sarah’s Review: I have used various kitbags and make-up bags to hold my insulin, tester and test strips over the years. This one does fit everything you need for a couple of days; it also keeps everything separate which is nice. The only problem I found was keeping my tester secure as I have a OneTouch Ultraeasy which is slimmer than a normal tester so it kept falling out. I did manage to wrap the Velcro round so it does hold it tight now. The main advantage was being able to keep both pens together as a lot of kitbags only have room for one pen. Rating: Small and Compact as described, great for everyday but may need something bigger if away on a trip for more than a couple of days. Description: ‘Diabetes De-Stress’ is a practical, easy to read and innovative new guide that uses Cognitive Behavioural Therapy to teach you how to tackle your diabetes-related stress, low mood and depression. Sarah’s Review: I would never have read a book about stress and diabetes because I feel I have coped well and don’t get stressed about my condition, however I found it really useful because it is written by somebody who has type 1. The examples are relevant and I have experienced some of the things she mentions. This book would be useful for those people who are finding it hard to cope and for those whose diabetes rules their lives. Rating: Written professionally yet is understandable from a readers point of view – some useful examples. I also think it would be a good read for family and friends. Sarah’s Review: I have never really wanted an ID necklace or bracelet but when I saw these I just thought how modern they looked. When I imagine an ID tag I think of something that is big and ugly but this necklace looks like an ordinary piece of jewellery. When I wear it I get lots of comments and my friends all want one even though they have no medical condition! Rating: I love the necklace and the range the company does looks amazing. There are products for Children, Men and Woman. Description: Blood Glucose meter, stores 400 results and averages for 7, 14 and 30 days. Sarah’s Review: This is a small meter, which is exactly what I like. I found some of the ones that try and do lots of extra things are big and bulky this is a basic machine, that is slim and small. The test strips are great as sometimes I find with other meters I run out of time before I have managed to get enough blood on the test strips. These strips gives you up to 60 seconds to get enough blood on them, but will start as soon as you have enough on there. Rating: I have had lots of different machines and this is one of the better ones.